2001. By Bill Gove. 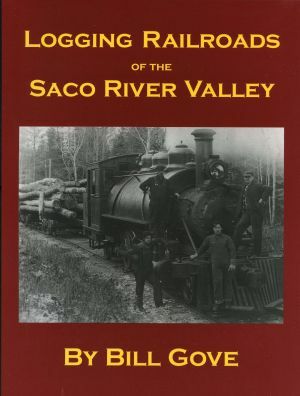 Based on more than three decades of research, this fuly illutrated history examines the six logging railroad lines that once operated along or near the scenic Saco River Valley in New Hampshire's White Mountains. Among the logging lines covered are the Sawyer River, Swift River, Bartlett & Albany, Saco Valley, Rocky Branch, and East Branch Railroads. Also featured are more than 150 vintage photograhs and nearly a dozen original maps drawn by the author. Softcover. 142 pp.